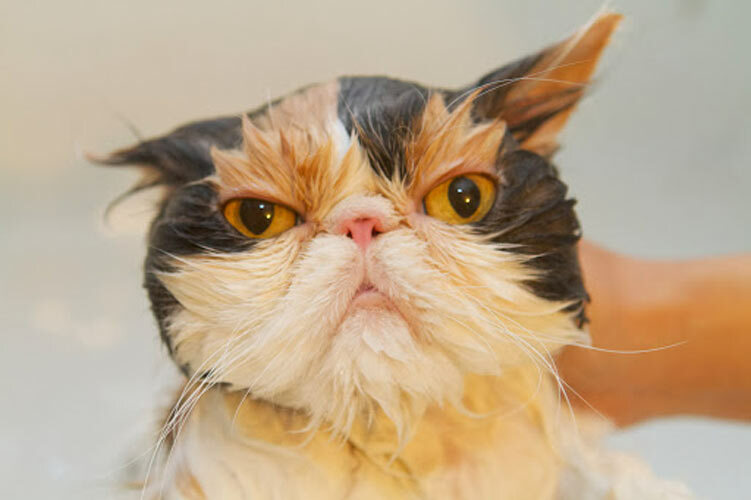 Martha personally washes her cat's faces with a soft, damp, warm washcloth every night. 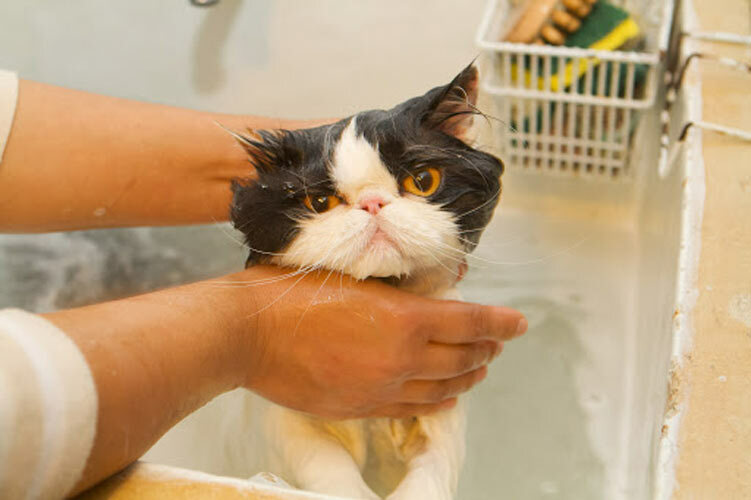 “Although cats are remarkably clean, well-groomed animals, I’ve always been a firm believer in bathing my cats,” says Martha Stewart on the Official Martha Stewart Blog. 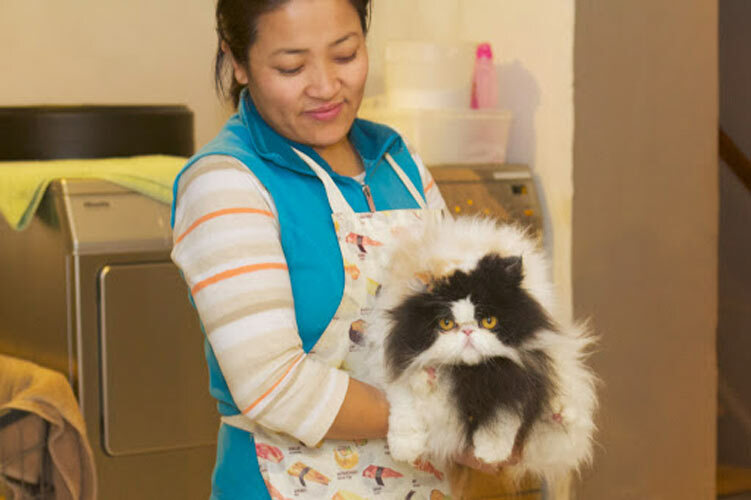 Martha takes us through the fascinating process of thoroughly cleaning her longhair calico Persians. 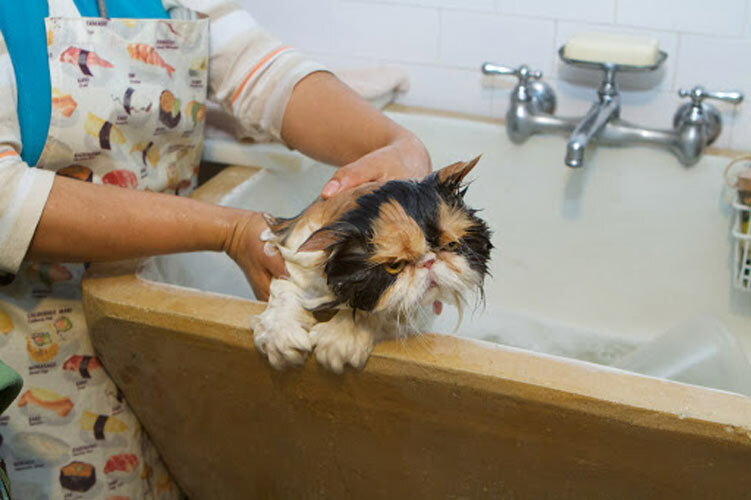 Queen Martha has her “house staff,” Sanu and Maria, clean the cats on this occasion because she needs to go photograph a struggle plate and put it on Twitter. 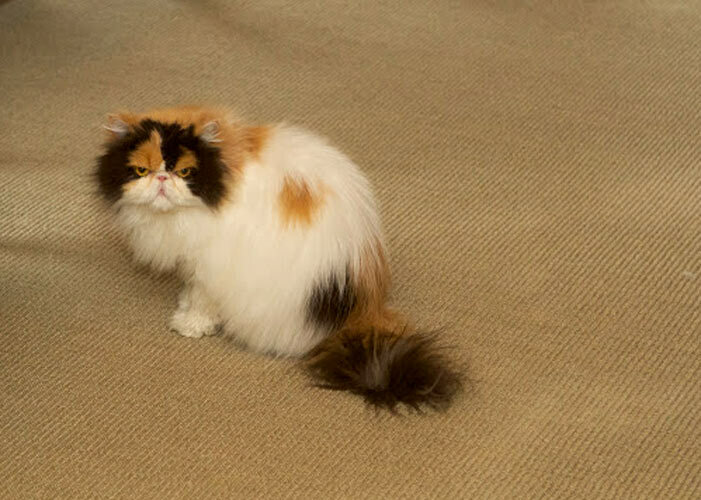 But Martha assures us that, every night, before they curl up on the bed.” Wouldn’t expect anything less from M. Diddy. But what is the real takeaway here? 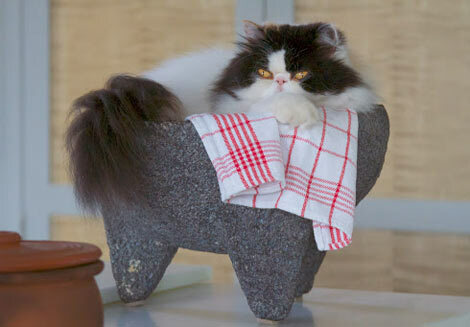 Martha Stewart stores her cats in a molcajete! (A.k.a that thing they serve guacamole in at Mexican restaurants). Nice, Martha. 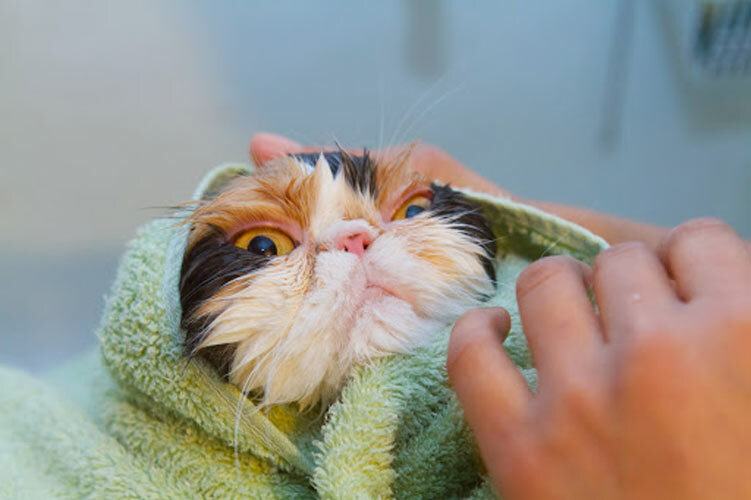 Click through the gallery to see more amazing photos of Martha Stewart’s calico Persian cats being bathed.